Stone house with park, view on the vineyard of buzet. 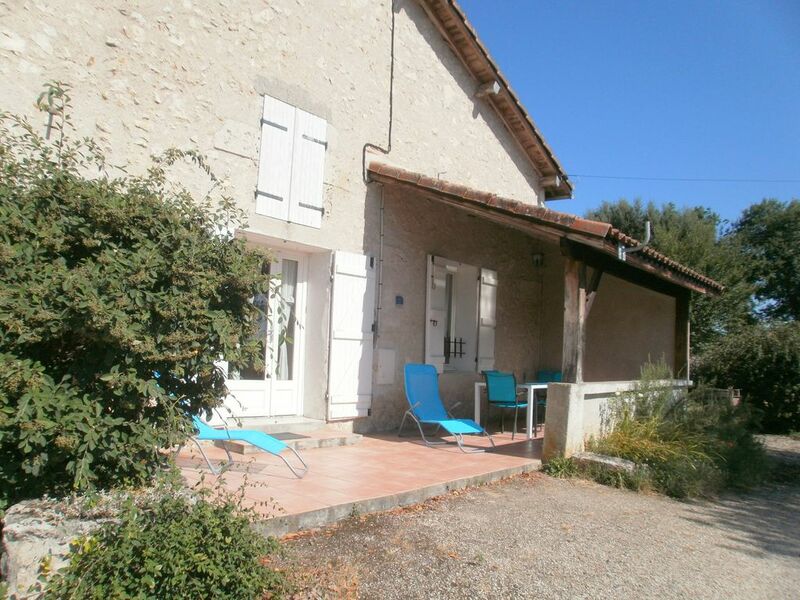 In the center of Lot et Garonne (47), the cottage tamaris welcomes you all year for a weekend or a week. New cottage on one level with 2 bedrooms for 2 to 4 people. Bedroom 1: bed 140. Bedroom 2: 2 beds 90x200 convertible into king size bed. American kitchen open on large living room. living room with pellet stove. Partially covered terrace. Barbecue. Park sported and flowery of 1500 m2. Accepted animals. Exit No. 6 A62. 30 km from Agen. 3 km from the bastide of Damazan. Greenway of the canal nearby. Lake Damazan: free swimming and ski lift 2 km. Shops and wine cellar Buzet 2 km. Special rate for companies. Welcome to the night for cyclists of the greenway. On the hill overlooking the vineyard and the castle of Buzet. To discover in the town: orientation table overlooking the valleys of the Lot and Garonne, school museum, Gallo-Roman tower, Romanesque church, hiking and biking tours ... Nearby Greenway Canal Garonne. Cave de Buzet 3km visit and tastings.